You can install applications from Google Play Store on kindle fire and have access to applications that you can’t found in the Amazon Appstore and there is no need to root your Kindle Fire. 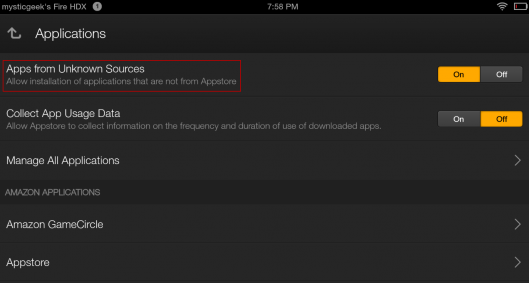 Here’s how you can get most of the Google apps for your Kindle Fire, Kindle Fire HD or HDX. Now you have to search and download you desired android app from google play store to pc. Connect your kindle tablet to Pc and transfer your apps apk files from pc to your tablet. After that, Go to the Amazon App Store on kindle fire and install eitherES File Explorer or File Expert. Both applications are free and excellent apps for browsing your device’s file system. Through any file manager go to the location where you have copied apk file in step 3. 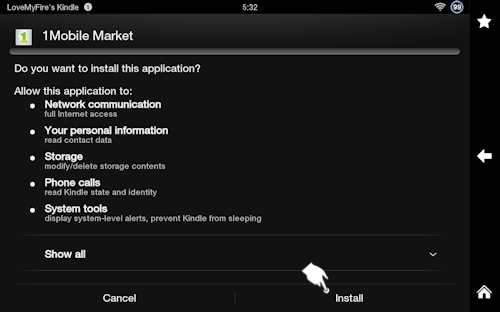 Click on the apk file name and install the application just like same way you install from the Amazon App Store. You can also install drop box on kindle fire by this way.